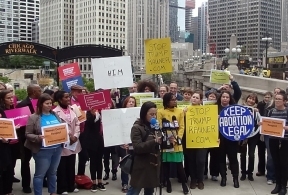 Chicago Women Take Action (CWTA) supports the Chicago City Council’s resolution to defend not only the 380,000 Muslims living in the greater Chicago area, but all immigrants, people of color, and those who now may fear future persecution. In the wake of the November 8th election, we oppose the manifestation of anti-Muslim bigotry that has become all too common place, and we stand with the elected officials around the country who are also condemning the sentiments of white supremacy, xenophobia, racism, anti-Semitism, homophobia, and misogyny that have no place in this country. We call on all fair-minded people to remember that we are all created equal and that everyone deserves to be treated with respect and dignity. We must continue to ensure that the gains made toward fairness and equality will not be lost in the aftermath of this election. As a collective, CWTA is reaffirming our commitment to fighting for change and social justice for all women and their families. We ask that all people who seek justice and share a vision of a world in which our country can continue to be recognized for all that is best in us join us as we move forward together to meet the challenges of the coming years. 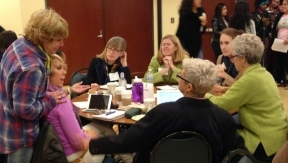 Chicago Women Take Action (CWTA) is a group of women united by a commitment to achieving women’s leadership and economic and social equality. Join us at ChicagoWomenTakeAction.com.